With the total over $28 billion and climbing, warranty claims reported last year by US-based manufacturers have never been higher. But while some companies pay out more of their sales in warranty claims, others have cut some key ratios significantly. It's a strange anomaly. American manufacturers are spending more than ever before to satisfy warranty claims, yet in many cases the proportion of their sales that's spent on those claims is dropping. In 2005, US-based manufacturers spent $27.4 billion on warranty claims worldwide, equal to 1.71% of their product sales. In 2006, the total has gone up to $28.2 billion and continues to rise as late reports are filed, but so far the percentage of sales that figure represents has fallen to 1.65%. With only a few dozen exceptions, most US-based manufacturers have now filed their year-end 2006 financial statements with the Securities and Exchange Commission. Most reported increasing sales and some also reported declining warranty expenditures, in either dollar terms or as a percentage of sales. However, 58 of the top 100 warranty providers paid out a higher percentage of sales as warranty claims in 2006 than they did in 2005. On the Warranty Week home page, readers will find a listing of the top US-based warranty providers, selected on the basis of their 2006 payouts and ranked based on comparisons to 2005. What we intend to provide below is an expansion upon that basic data, highlighting some of the largest increases and decreases. Since late 2002, all publicly-traded US-based manufacturers that issue product warranties are now required to report at least four essential figures to the SEC in all their quarterly and annual statements: the opening and closing balances in their warranty reserve funds, the net amount spent on claims, and the net amount of accruals added to the fund. Since early 2003, Warranty Week has been harvesting those figures for more than 800 manufacturers, along with totals for each company's product sales. What we then do is divide claims and accruals by product sales, computing percentage rates for each. If a company spends $2 million on claims and reports $100 million in sales, its claims rate would be 2%. If claims rose to $3 million but sales fell to $75 million, the claims rate would then be 4%. Claims measured in dollars would be up by 50%, but because of the sales decline, the claims rate measured by comparing claims to sales would be up by 100%. In the first three charts below, we've computed claims rates for the top hundred warranty providers, as measured by the amounts they reported spending on claims during calendar 2006. Those claims rates were then compared to the rates observed at the end of 2005. Table 1 lists the ten highest claims rates found among these hundred manufacturers at the end of 2006. Table 2 lists the ten lowest. All are then compared to their year-ago rates. Table 3 lists the ten largest percentage improvements, which in this case means a falling claims rate. 1. Dell's latest claims rate is computed for the quarter ended May 5, 2006, and is compared to the quarter ended April 29, 2005. The company has not yet filed financial statements for the second half of 2006. There's no shame in having a high claims rate. The highest claims rate listed in Table 1 comes from a computer printer company that reports more than two-thirds of its total revenue comes from non-warranted sources such as ink and toner cartridges. That revenue has to be subtracted out of the equation, leaving only warranted product revenue at the bottom of the fraction. In the printer industry, the business model is to keep the hardware prices low so the customer keeps coming back for the consumables. So no wonder its claims rate is close to 10%. If we put all that consumables revenue back into the fraction, Lexmark's claims rate would be closer to 3.1%. There is, however, some cause for concern when a company such as Netgear or Standard Motor Products reports claims over 5%. They don't report any consumables revenue, so for them total revenue equals product revenue. And as the percentage following each company's latest claims rate attests, things are not improving versus a year ago. In contrast, Novellus Systems turned in a 6.3% claims rate in 2005, and it cut that rate to 5.0% in 2006, for a 21% reduction. Anyone who cares to peek below at Table 3 will see that the size of this reduction qualifies the company as one of the ten most improved warranty providers of 2006. Others on that list include Apple Inc. and Cisco Systems, who each undoubtedly have a great warranty management story to tell. Dell Inc. makes the chart for seeing its claims rate rise from 3.2% to 4.0%. But because Dell has now missed the filing deadlines for two quarterly and one annual report, we had to go back and compare the claims rate for the quarters ended May 5, 2006 and April 29, 2005. Among the top 100 warranty providers, only Dell and Navistar International are so seriously behind with their SEC paperwork. And, we suspect, both will report increased warranty claims once they do catch up. One company that's not on this chart is Remy International Inc. On April 2, the company notified the SEC that it is no longer obligated to file reports under the Exchange Act. As a result, Remy said it will not file a Form 10-K with the SEC for 2006. And more importantly in this instance, Remy will no longer have to detail its warranty expenditures. So there won't ever be anything available to compare its year-ago 4.5% claims rate with. Others that have fallen from the top hundred warranty provider chart during the past year include Lucent Technologies Inc., Maxtor Corp., and American Power Conversion Corp. All three were swept up in acquisitions -- by Alcatel, Seagate Technology, and Schneider Electric, respectively. Other sizeable warranty providers that underwent acquisitions during 2006 include Advanced Digital Information Corp., Applica Inc., Jacuzzi Brands Inc., JLG Industries Inc., McData Corp., and Symbol Technologies Inc.
At the other extreme are all the companies with sub-one-percent claims rates, as highlighted in Table 2. Many, we find, are component suppliers, who count the familiar brand names as their customers. For whatever reason, warranty costs don't seem to travel all that efficiently back up the supply chain. Therefore, it's not unusual to see OEMs in the computer, telecom, and auto industries paying out 2-4% of their revenue in warranty claims while their suppliers remain below 1%. It's not all suppliers, of course. Medtronic manufactures cardiac monitoring equipment and pacemakers, drug pumps, heart valves and numerous other types of medical devices. In 2005, the company suffered from what it called a "field action," which others might define as a product recall. But because recalls strictly speaking aren't warranty claims, the company was able to keep its reported warranty payout below 0.6% of revenue. And now, a year later, it's fallen back to 0.3%. Based upon that 39% annual improvement, Medtronic also made the list in Table 3. But it was only the third best reduction. First place went to Nvidia, manufacturers of graphics processors for computers, handhelds, and increasingly, cell phones. A year ago, its claims rate was 1.6%. Now it's 0.7%, less than half what it was then. The big story here, however, has to be Apple Inc. With its newly-shortened name, the company seems to have turned a corner of sorts, putting the well-publicized iPod battery and cracked screen problems behind it. At the beginning of calendar 2006, its claims rate rose above 2% for the first time since reporting began in 2003. Now it's below 1%, and is lower than it's been in at least the last four years. Part of that change has to do with rising sales, but the fact remains that Apple's claims rate is down by 44%. We did a quick check of the correlation between claims and sales, and here's what we found. Of the top 100 warranty providers, we have both current and year-ago sales and warranty figures for 97 companies. Of those, 39 saw their claims rates fall and 58 saw their claims rates rise in the past year. Of the 39 who managed to lower their claims rates, fully 33 also saw their product revenue increase. Only six managed the elusive combination of falling claims rates and falling sales. Therefore, one could say that rising sales are more responsible for these rate changes than are falling warranty claims. However, 20 of the 39 did actually pay out less in dollar terms during 2006. In fact, GM paid out $233 million less in claims last year, which placed it in 17th place in terms of most improved (because it moved its claims rate by only -12%). And between GM and Cisco there were six companies: ArvinMeritor Inc., Eaton Corp., General Electric Co., Manitowoc Co. Inc., NCR Corp., and Tyco International Ltd.
Of the 58 who saw their claims rates rise, 40 also saw sales rise, but obviously not as fast as claims did. The other 18 saw claims rise and sales fall -- a terrible combination. Interestingly, though, all 40 companies that ultimately saw their claims rate rise despite higher sales also paid out more in terms of dollars. Among the 33 who saw lower claims rates and higher sales, 17 or slightly more than half accomplished the rate reductions despite paying out more in dollars. Fourteen reduced their claims rate and their payout amounts. Two companies -- Goodyear and Kodak -- paid out the same amount, but saw their claims rates fall slightly thanks to small sales increases. Below in Tables 4 and 5, we're simply listing the top ten warranty providers in the vehicle and high-tech manufacturing industries. Historically, the automotive industry has accounted for just under half of all types of warranty claims, and the high-tech industry another third. That approximate ratio appears to be holding, though we'll leave all the details until next week, when we compute industry totals and averages. 2. Navistar has failed to file a financial statement since the quarter ended July 31, 2005. As a result, the claims total for 2005 is partially estimated and the claims total for 2006 is not available. Notice that only two of the ten largest OEMs paid out less in 2006 than they did in 2005 (as mentioned, we're expecting Navistar to come in on the high side). But the big story in Table 4 has to be the $233 million reduction by GM in its annual payout. It's not quite 5% less, which for a company the size of GM is massive. But once you see that we're talking multiple billions of dollars to begin with, it's easy to see why in percentage terms it's not as big as some of the other reductions on this page. Still, it's better than the $120 million annual increase at Ford, which by the way has had a higher claims rate than GM all year. It's a similar story among the high-tech manufacturers, although IBM's reduced payout has much to do with its sale of the PC Division to Lenovo. And while HP paid out less, it was only $7 million less, and for a company paying out more than $2.3 billion to begin with, that's a rounding error. However, sales were up 7%, and therefore the claims rate was down 7%, which is better than the reverse. 1. Dell has not yet filed financial statements for the second half of 2006. As a result, the claims total for calendar 2006 is partially estimated. Now let's switch gears a little bit, and take a look at another phenomenon. While many companies maintain a more or less constant balance in their warranty reserves, or at least a constant ratio between payouts and reserves, some companies have seen their reserve fund balances change dramatically. Some, as in IBM's case, allow this to happen because of divestitures. They transfer some of their reserves to the new owners, to cover products for which they're now responsible. Others, such as Whirlpool and Seagate, end up with larger balances because of acquisitions they've made. They also need higher balances because frankly, the companies they've acquired had higher claims rates (although Seagate also now needs to provide cover for its own products, which now carry longer warranties). In Table 6, we've listed the ten largest percentage reductions in size among the 100 largest warranty reserve funds during the past year. That's a slightly different list than the top 100 warranty providers, because one is looking at spending while the other is looking at balances. Think of it this way: for whatever reason, the ten companies below saw their warranty reserve funds contract by the largest percentages since the end of 2005. 3. Earlier this year, Exide Technologies ceased including warranty reserve balance information in its quarterly statements, in violation of the terms of FASB FIN 45. Therefore, its year-end reserve balance is estimated. Conversely, the ten companies below in Table 7 saw their warranty reserve funds grow by the largest percentages since the end of 2005. For instance, Stanley Works more than tripled the size of its warranty reserve fund, from $15.7 million at the end of 2005 to $56.8 million at the end of 2006. Its claims rate rose from 0.4% to 0.5% over the same period, but the real reason for the increase in the balance seems to be a string of recent acquisitions of companies such as HSM Electronic Protection Services Inc., Facom S.A., National Manufacturing Co., and Besco Pneumatic Corp. In addition to its regular accruals, Stanley added $6 million to its reserves early in 2006, and added another $34 million later in the year. These items were listed as "acquisitions and other." Time will tell whether it was more about the acquisitions or more about the as-yet unexplained "other." One would think that shareholders might be interested in a more detailed explanation, especially since $40 million was involved. If claims now rise because of all the new lines of business, or because of increased claims tied to quality problems with Stanley's pre-existing product lines, then the company has the funds to pay them. But if the added funds prove to be an excess, then at some point in the future the company can make a withdrawal and pass the funds right to its bottom line. What's amazing is how little explanation any of the companies in Tables 6 or 7 actually provide about the reasons behind these changes. Internally, the top warranty people within all of these companies have probably already had to explain these warranty spending rate changes to their upper management. The difference is that some will now have to also explain these changes to their shareholders, because warranty information that used to remain internal is now public. These days, they don't have to publish a case study or draft a press release to see their warranty story make the newspapers. In recent months, we've even seen the occasional Wall Street analysts use warranty spending rates as a reason to buy or sell a stock. No doubt, there are some good stories to be told. Here we're comparing only year-end 2006 figures to year-end 2005 figures. But there are plenty of interesting twists and turns in the trend lines that also include data from 2003 and 2004. We'll begin to do that next week, in a holiday-delayed April 11 issue, by looking at what's typical for certain industries and certain product types. ServiceBench opens a European bridgehead with international headquarters in the Netherlands. Editorial says Colorado's proposed home warranty law (House Bill 1338) is misguided. U.S. companies doing business in 13 sanctioned countries still honor their warranty claims. Jim2 Business Engine can help businesses in the construction equipment industry get a grip on warranty claims. Anti-terrorist oath required for a Seagate RMA. Hyundai Motor risks crashing as chairman Chung Mong Koo faces jail time. NHTSA sees no serious safety consequences from reports of Ford F-150 engine ejecting spark plugs. Politicians want New Flyer bus bid accepted despite disqualification over warranty and training issues. U.S. military official says the "warranty isn't the best" on Russian avionics in Chinese fighter-bomber. With exterior paint, the longer the warranty, the higher the quality. Vancouver's sidelined trolley buses go back on the road after New Flyer Industries fixes steering. Warranty Direct UK finds potholes cause £320m/year in damage, cost £33m to fix. Once again, Relisys Digital won't honor warranties for its monitors, LCD, and plasma screens. National Warranty Services launches extended warranty system for Australian computer resellers. BenQ blames financial losses on its mobile phone division's servicing and warranty costs. Auto parts suppliers going bankrupt or private to escape money-losing OEM contracts. Smith & Wesson to provide warranty repairs for 3,000 new pistols sold to California Highway Patrol. Risk aversion theory a key to extended warranty and insurance buying patterns? Axis Communications signs Comtek Network Systems to manage its RMA and warranty claims. Packard Bell tops magazine's list of the worst PCs of all time. Hyundai denies extended warranty claim because car owner failed to keep receipts for oil changes. Assurant Solutions awarded ISO 9001:2000 certification for its service contract quality management systems. For a limited time, HP Middle East covers Officejet Pro Series with a three-year warranty. Consumers should keep track of warranty paperwork by placing it into a folder. Apple won't give phone support to editor who didn't buy an extended warranty for his MacBook Pro. Dubai Land Department drafts law requiring 10-year warranties on new buildings. Sri Lankan Consumer Affairs Authority mandates one-month implied warranty on new products. Ingram Micro to help its channel partners manage Cisco service contract renewals for their customers. 3M UK says Vikuiti ARMR200 film reduces warranty claims by protecting LCD screens against scratching. Just Good Data's Indico parts forecasting software now in use at Mazda, Ford, Honda and Hyundai. Elcoteq SE to provide manufacturing and warranty repair services for Redline Communications. BradReese.com Cisco Repair provides alternative to Cisco's own service contracts. Gateway loses reader's eMachines PC, holds onto it for two months and counting. Western Digital lengthens warranty on external hard drives in India to three or five years. Corrigo Inc. teams with Sales Simplicity Software for warranty management/CRM package for homebuilders. Jones Auto Centers introduces a limited lifetime powertrain warranty for used vehicles. StainSafe denies claim by saying that Macy's sold the wrong extended warranty to its customer. More than 10,000 people email MSN editors to tell stories of time wasted at Home Depot stores. Innovative Aftermarket Systems to sell SmartDealerProducts to dealers not also selling its service contracts. SigmaQuest releases SigmaSure 6.0 with Repair Insight module to reduce warranty costs. Trane employs HP and PolyVista for warranty chain management early warning solution. JM Family Enterprises deploys Cadre Technologies Cadence supply chain management software. Long-running dispute between Ford and its diesel engine supplier could threaten new ambulance supply. For now, Navistar will get its price for diesel engines going into Ford's Super Duty trucks. City bus fleet manager says the biggest roadblock to biodiesel use is the engine warranty. Cirrus Research noise meter warranties can be renewed for 12 years with annual calibration. KB Home to sell luxury homes in Henderson, Nevada, covered by 10-year warranties. State bill mandates home warranties last 2 years for general defects, 3 years for electrical and plumbing, 5 years for leaks, and 10 years for structural defects. 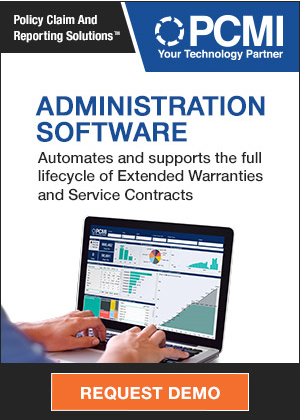 Innovative Aftermarket Systems adds GE Auto Warranty service contracts to its dealer management software. Kia and GM passenger car warranties in the U.S. feature longer mileages than in Canada. Nissan North America to outsource the coding portion of its warranty division to Minacs Worldwide Inc.
Consumers complain to NHTSA over malfunctioning GM speedometers, Seattle attorney claims. Luxury bed features 25-year warranty as high-end mattresses gain market share. Nigerian regulator wants Consumers Protection Council to crack down on dishonest promotions. Ford recalls Crown Victoria Police Interceptors after wheels crack in high-speed chases. Blogger wonder if Apple really wants business customers to rely upon AppleCare service contracts. Columnist slams Sony's extended warranty housecalls, gets high-level attention from company. Automotive Professional Inc. closes following severe cash flow shortfalls from reduced service contract sales.